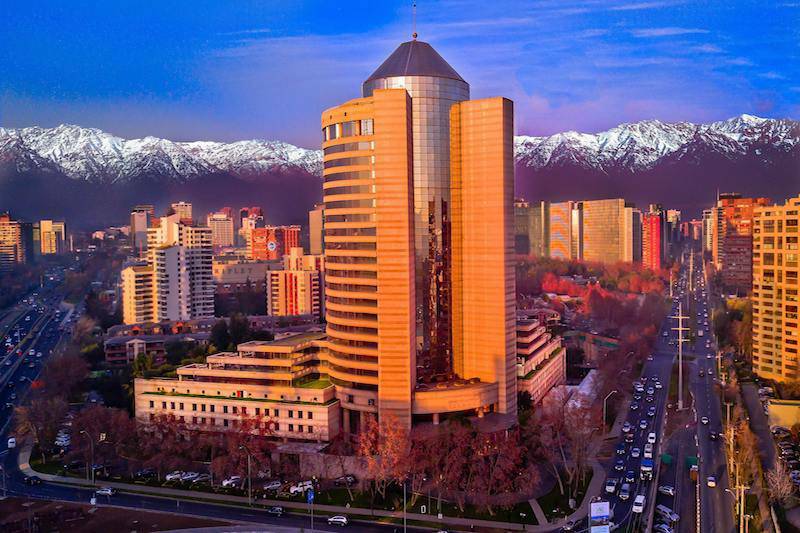 Hotel Santiago opens today under Mandarin Oriental Hotel Groupmanagement, following the Group’s announcement in May. Formerly the Grand Hyatt Santiago, the property will undergo an extensive guestroom and public area renovation, the first stage of which is scheduled for completion in the third quarter of 2018. The hotel will remain open throughout the period, and is now accepting reservations. This is the Group’s first property in South America. The property comprises 310 guestrooms including 23 suites with commanding views of the city and the Andes. Its 25,000-square meter grounds contain a large free-form outdoor pool and landscaped gardens which provide a resort environment for guests. The hotel currently features five restaurants and bars as well as extensive banqueting and meeting space. Additional facilities include a spa and fitness center. Hotel Santiago will continue to operate throughout the first phase of the renovation which will reposition the property as a Mandarin Oriental hotel in the third quarter of 2018. The new luxury accommodation, public areas and landscaped gardens will be redesigned to reflect local culture, with features inspired by Mandarin Oriental’s Asian heritage.